Better Hand Tools - A Simple Philosophy. The quality of a man's work and his choice of tools make the difference between prosperity and poverty. 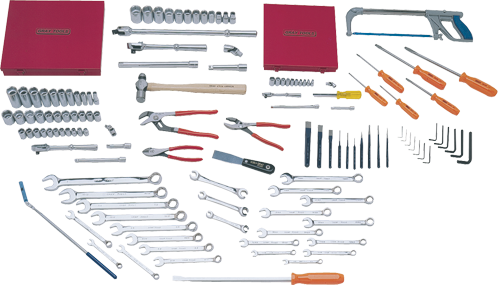 Gray Tools was established in 1912 and began manufacturing hand tools specifically for the accomplished professional. The founder's early experiences taught him the value of maintaining close relationships with the users and the resellers who served them. The strength of these relationships and the mutual respect they created helped Gray Tools become the standard amongst these uncompromising users. Today, over 100 years later, the business continues to be built on solid relationships and trust. We continue to spend time with the people who use our tools and appreciate the difference a better hand tool makes in their hands. We are extremely proud to be the only industrial-quality manufacturer of hand tools in Canada. Our goal is always to exceed your rigorous expectations for quality and reliability. We continue to deliver tools of the highest standard, providing tradesmen the confidence to perform and achieve exceptional results.